I love the feeling of staying in a hotel and it seems to be rubbing off onto T too, he keeps asking when our next hotel break is!!! 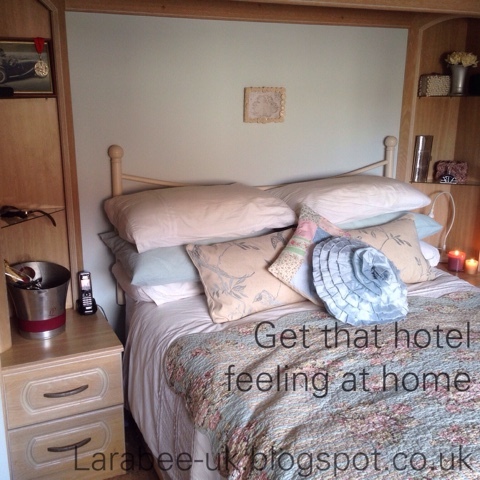 Look out for a Travelodge review coming very soon! For now here are our suggestions for having a hotel break at home! 9. Switch off the phone and don't answer the door! 10. Lay on your bed and read. 11. Install a mini-bar, yes really, if only temporary with a bottle of wine in an icebucket!